More than 30 years ago, nutrition researcher T. Colin Campbell and his team at Cornell, in partnership with teams in China and England, embarked upon the China Study, the most comprehensive study ever undertaken of the relationship between diet and the risk of developing disease. What they found when combined with findings in Colin’s laboratory, opened their eyes to the dangers of a diet high in animal protein and the unparalleled health benefits of a whole foods, plant-based diet. 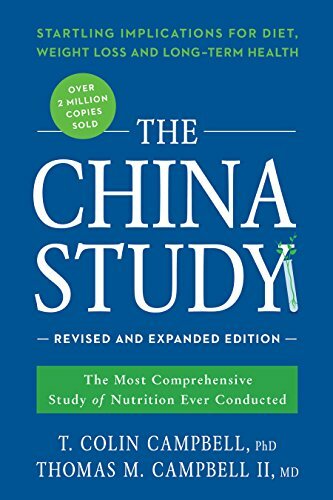 The China StudyRevised and Expanded Edition presents a clear and concise message of hope as it dispels a multitude of health myths and misinformation. The basic message is clear. The key to a long, healthy life lies in three things: breakfast, lunch, and dinner.